Our guide on starting a sub shop covers all the essential information to help you decide if this business is a good match for you. Learn about the day-to-day activities of a sub shop owner, the typical target market, growth potential, startup costs, legal considerations, and more! Submarine sandwiches are a go-to food for many people, as they’re inexpensive, quick, tasty, and can even be a healthy meal, depending on the sub. A sub shop serves submarine sandwiches for lunch and dinner. 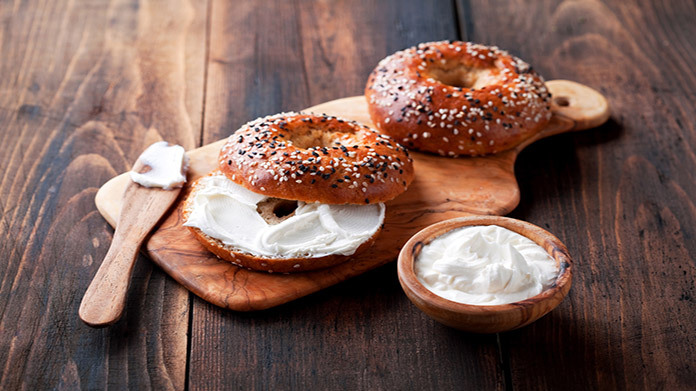 Most also have sides, beverages and other types of sandwiches, and some serve breakfast. Anyone who likes serving people and is passionate about food might be well-suited for running a sub shop business. There’s lots of hands-on work involved in a sub shop, as sandwiches are typically assembled to order as customers request them. Because people eat submarine sandwiches for lunch, dinner and at other times, sub shops are usually open during most of the day. Owners ought to expect to work almost every day, although some shops close for one day a week and major holidays. What happens during a typical day at a sub shop? In between customers, supplies must be restocked and the shop has to be cleaned. Owners can expect to place orders for more supplies, receive orders, make schedules for any employees and perform other administrative tasks at least once a week. Sub shop businesses appeal to many customers. Sandwiches can be adapted to many taste preferences and health requirements, and they’re convenient, affordable meal options. How does a sub shop make money? A sub shop business makes money by selling submarine sandwiches, other foods and beverages to customers. Some shops also cater events. What is the growth potential for a sub shop? A sub shop business may be just one location, or it can be a national chain. Many successful shops grow to be regional, either establishing a local chain or opening multiple franchises in one area. What are some skills and experiences that will help you build a successful sub shop? Sub shop business owners should be familiar with how to efficiently make sandwiches, as that is the main product their business sells. Sub shop owners can learn how to assemble sandwiches and familiarize themselves with the other aspects of serving customers by working in a shop for a few months. Business owners should also be familiar with how to manage employees and workflows. Talking with other owners of sub shops is an easy and inexpensive way to learn about these parts of running the business. What are the costs involved in opening a sub shop? The startup costs associated with opening a sub shop business vary a lot. A shop may be opened for around $60,000, or it might cost hundreds of thousands of dollars. Other smaller expenses include deposits, professional fees, cash for the cash register, licensing and permit fees, supplies and incidental expenses. Many sub shop business owners open a franchise location. Entrepreneur has a list of 10 sandwich franchises, which cost between $84,300 and $432,800. Business owners can reduce their startup costs some by purchasing used equipment, which is often much less expensive than comparable new equipment, and opening in a small space so that rent is kept minimal. Opening a local shop can also be cheaper than a franchise, as it eliminates any franchise fees. What are the steps to start a sub shop? Form a legal entity. Establishing a legal business entity prevents you from being personally liable if your sub shop is sued. Open a business bank account. A dedicated checking account for your sub shop keeps your finances organized and makes your business appear more professional to your customers. Joining a sub shop franchise can be a good option for entrepreneurs who prefer to use a proven model rather than start from scratch. While joining one can mean slightly higher initial costs and less control, a quality franchise offers great benefits such as initial and ongoing support, marketing assistance, and brand recognition. Opening a sub shop franchise typically requires $100,000-$1,500,000. Larger sub shop franchises like Subway and Jimmy John's typically cost more, while more niche favorites like Togo's often have lower startup costs. Interested in joining a sub shop franchise? Check out our favorites. It’s important to offer a range of different sandwich options to appeal to people’s varying tastes. In addition to submarine sandwiches, shops may want to offer wraps or salads. These are easy to make if a place already has the supplies for sandwiches, but they have fewer carbs. Offering a wide variety of toppings can also help a shop attract lots of different customers. Some sub shop businesses have set themselves apart from others by offering special, unique sandwiches. These may be seasonal sandwiches, local favorites, ethnic sandwiches or one-of-a-kind creations. A small sub shop business can be run with just one person, but there is a great deal of work involved and having no employees limits a shop’s growth potential. As soon as possible, you’ll likely want to hire at least one employee. Having an employee can help increase how many customers your shop can serve during peak times, like the lunch hour, and it will let you focus on tasks that will grow the business more. Certain state permits and licenses may be needed to operate a sub shop. Learn more about licensing requirements in your state by visiting SBA’s reference to state licenses and permits. Food establishments are randomly inspected by the local health department on a regular basis. These inspections will check for compliance with local health laws, typically related to prevention of food contamination. Tips for faring well on a health inspection can be found here. A sub shop is generally run out of a small retail location. Businesses operating out of a physical location typically require a Certificate of Occupancy (CO). A CO confirms that all building codes, zoning laws and government regulations have been met. Before leasing, confirm that your landlord has or can obtain a valid CO that is applicable to a sub shop. Review all building codes and zoning requirements for you business’ location to ensure your sub shop will be in compliance and able to obtain a CO. Protecting your logo and designs prevents competitors from stealing your art and ideas. This overview from the United States Patent and Trademark Office has all you need to know about trademark protection. What are the ongoing expenses for a sub shop? The ongoing expenses for a sub shop business include employee wages, rent, costs for supplies and costs for ongoing promotional campaigns. How much profit can a sub shop make? A sub shop’s revenue depends on how many customers it serves. Because submarine sandwiches aren’t too expensive, a shop relies on a high volume of customers to make a profit. Therefore, it’s important to be in a high traffic area so that there are lots of potential customers. Signs will help draw passersby in, as will special deals. 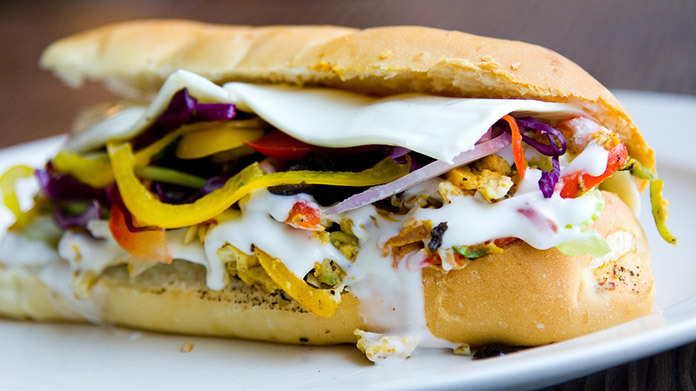 A sub shop can increase its revenue by upselling certain toppings that cost more, sides and beverages. Necessity for experience when opening a sandwich shop.